There is a place… A place on 17th st and Garfield, right here in Laramie… This place is a café… and it is the cutest café I have seen. 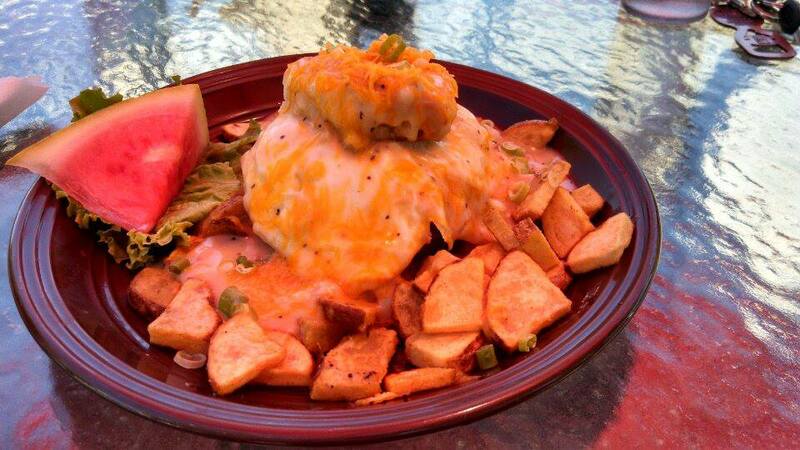 It is the go to brunch place in Laramie. 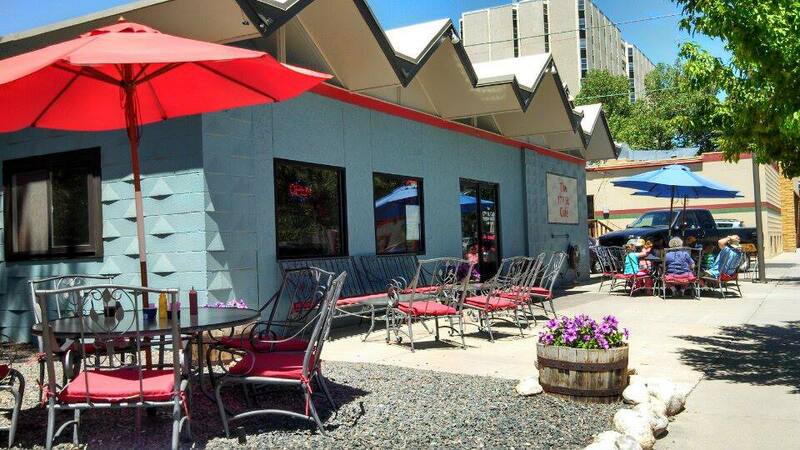 It is open from 7 a.m. – 2 p.m. You can choose to sit inside or out. I would recommend sitting at one of their umbrella covered tables outside. They have the cutest atmosphere with flowers. I enjoyed sitting outside, and enjoying the good food and good atmosphere. 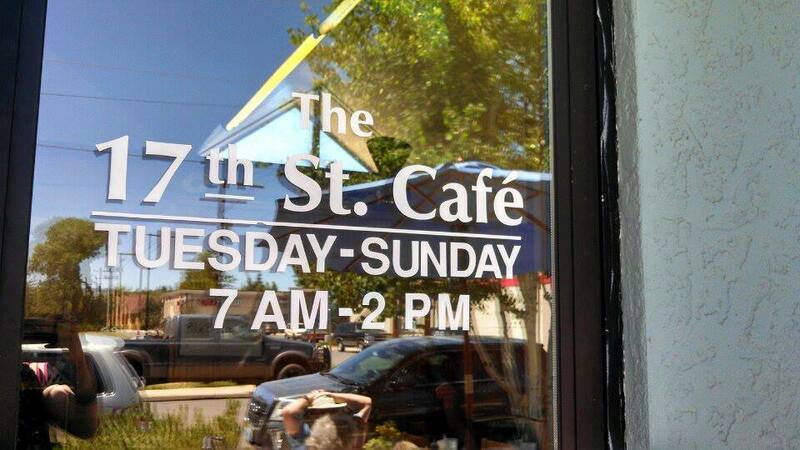 The weather is beautiful here in Laramie this time of year, and the best time to head over to 17th St. Café. While I was there, I bought the breakfast item, the Stacker… and oh was it so good! So yummy… It was like a breakfast sandwich on steroids. Delicious. 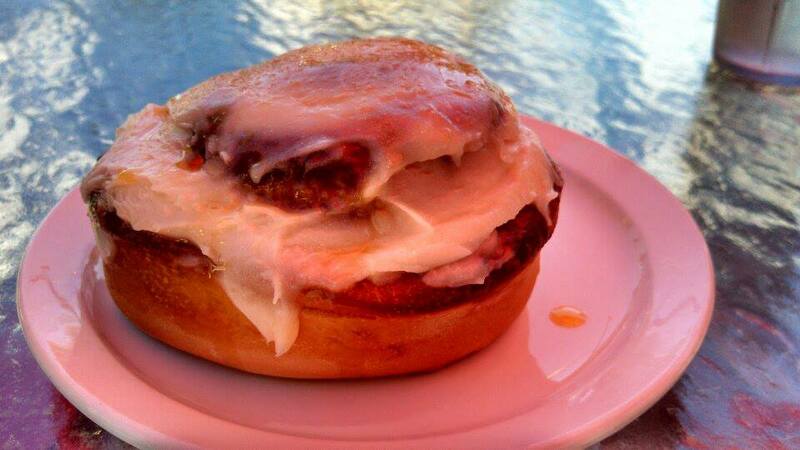 My friend ordered their cinnamon roll, and she loved it! I can now add the delicious food on to their cute atmosphere. Two in one. Its a great place to go for brunch. I will surely return soon.